The So-Cal banner was flown on many extraordinary machines that set records and won races, elevating the brand to iconic status. 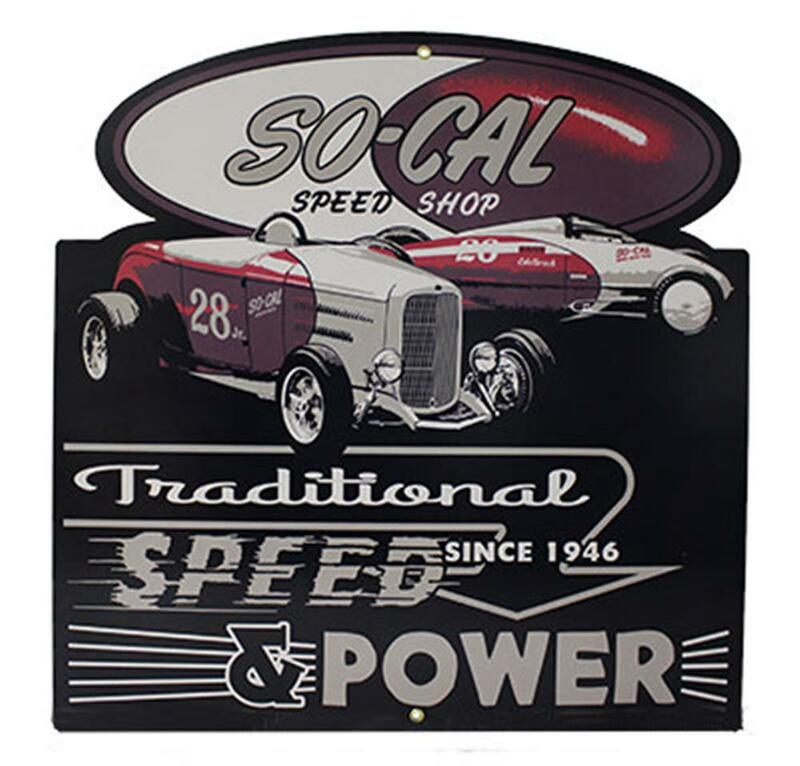 Two new heavy-gauge steel signs featuring the familiar graphics in a durable, powder-coated finish are now available: Traditional Speed & Power comes to you autographed by So-Cal founder and original Belly Tank driver Alex Xydias! This sign is pre-drilled, riveted, and ready to hang.